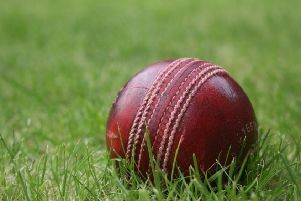 Egerton Park timed their run to perfection and moved into the Division Two promotion places with victory at Mountsorrel Castle in their penultimate game of the season. The result moved Park into second spot and set up a mouthwatering final match of the season against promotion rivals Newbold Verdon who are four points back in third after being restricted to a winning draw. The visitors lost the toss and were asked to bat first on a damp track following some heavy overnight rain. The conditions definitely favoured the bowlers, but an opening partnership of 71 between Stuart Rose (66) and Richard Haffenden (26) paved the way for the Melton side to amass a huge total of 246-8. Zaheer Hussain top scored with a fine 70 off 76 balls, including seven fours and two sixes. But the innings was also notable for a return to form for Rose and Tom Glover (34) who both spent some valuable time at the crease after lean spells with the bat. The visitors stuck with the opening bowling partnership which worked so well in the victory at Quorn the previous weekend. The economical Tom Glover was a great foil for the probing Nick Watchorn as they shared five wickets and left Kamal Panchal and Josh Blunt to mop up the tail. At one stage Mountsorrel were reduced to 55-7 and always looked second best in the contest before they were eventually bundled out for 130. * Saturday’s home match against Newbold gets under way at 12.30pm. All support is welcome.